The Embassy is closed from April 19 to April 22. The Embassy of Finland in Ottawa is closed April 19-22 for Easter. Customers take note that we close already at 3 PM on Thursday April 18. We are open again on Tuesday April 23. Happy Easter! Embassy of Finland in Ottawa is looking for a locally hired assistant for a 2-year contract from May 15, 2019 until May 14, 2021 (start date negotiable), with possibility of renewal. 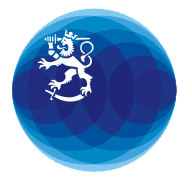 Embassy of Finland offers an employer sponsored pension plan and healthcare benefits plan. Application deadline April 2nd, 2019.